Youth Games – Action on the youth front got underway last weekend with wins for the boys Minor A team and U14 A team over Galbally and Trillick respectively and while there was defeats for the Development teams, they turned in some very encouraging performances, particularly a very young U14B team who lost narrowly to Gortin. On Monday, the minor boys and girls football teams followed up with good wins over Carrickmore in the league. Weekend action – This Saturday (4pm), the Minor Devs travel to Rock for their second game while the U14 A team are at home to Errigal Ciaran in St. Patrick’s Park (1pm) with the B team away to Owen Roes. The club’s U16 hurlers will get their season underway on Tuesday next they they travel to Carrickmore. Good luck boys – Best of luck to club players Riane Samir, Joe Colton, Danny Mullan, Rion McKenna and Thomas Clarke and their CBS teammates in Monday’s MacRory final in Armagh. Also well done to minor player Tiernan Bradley on his recent All Ireland Boxing Title and best wishes as he prepares for the upcoming World Championships. Youth Training – Training for all youth teams continues as normal this weekend, with U12 boys football at the CBS this evening (Thurs) at 6pm. On Friday Camogie coaching continues indoors at Healy Park at 6pm with U14 girls at the CBS from 7-8pm, while on Saturday Gaelic Start as well as U8 and U10 football and hurling continues at the CBS from 10am to 11.30 followed by girls U8 and U10 football at 11.45. Camogie – Last Sunday St. Enda’s camogs produced some heroic performances in an Ulster U10 camogie blitz in Magherafelt. Paired against Loughgiel, Ballygalget, Ahoghill and Portglenone the girls played some terrific and done the club proud. 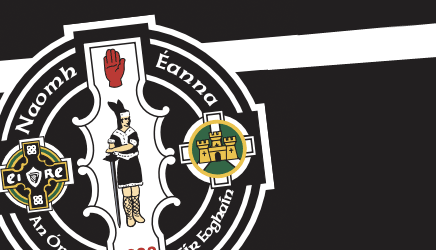 Presentation night – Tickets for the St. Enda’s 2013 annual presentation night in the Sperrin Restaurant on Friday 28th March are currently on sale from the clubrooms at just £12.50. Only a limited number will be made available so if you don’t want to miss a great night, get your tickets as soon as possible. Music by ‘The Bizz’. The annual Player of the Year awards for senior men and ladies, along with the prestigious Club Person of the Year trophy will be presented on the night. Biggest Loser – Congratulations to Robbie Baxter who was crowned the 2014 winner of the Omagh St. Enda’s Biggest Loser at Friday night’s final reveal in the clubrooms. A big well done also to finalists Martina McCanny and Sabrina Bradley and to chief organiser Kerry O’Neill. 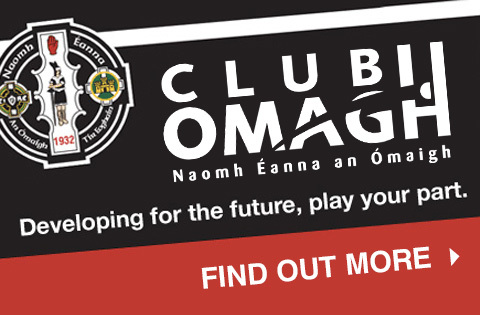 Thanks also to SMG Fitness, Bodyworx, Reach2Fitness and Fit For Life and all the various sponsors who helped to make the event another great success for Club Omagh. Set Dancing – Youth Set dancing classes will continue in the clubrooms on Friday from 7pm to 8-30pm. Tyrone game – All club stewards should report to Healy Park on Sunday for 12noon for the NFL game between Tyrone and Westmeath. St. Patrick’s Day – Everyone is welcome to join us in the annual St. Patrick’s Day celebrations on Monday and enjoy the craic in our clubrooms where you can watch the MacRory Cup final and All-Ireland Club finals. Family ceili all afternoon and traditional music in the evening. Irish stew and hotdogs on offer after the parade. Parents and children taking part in the parade should assemble at Leisure Centre Car park between 1pm and 1.20pm sharp. Please wear St. Enda’s colours. Language collection – The annual Irish Language church-gate collections will be taken up at all Masses on St. Patrick’s Day and anyone available to assist should contact John McElholm or Paul Breen by Sunday.